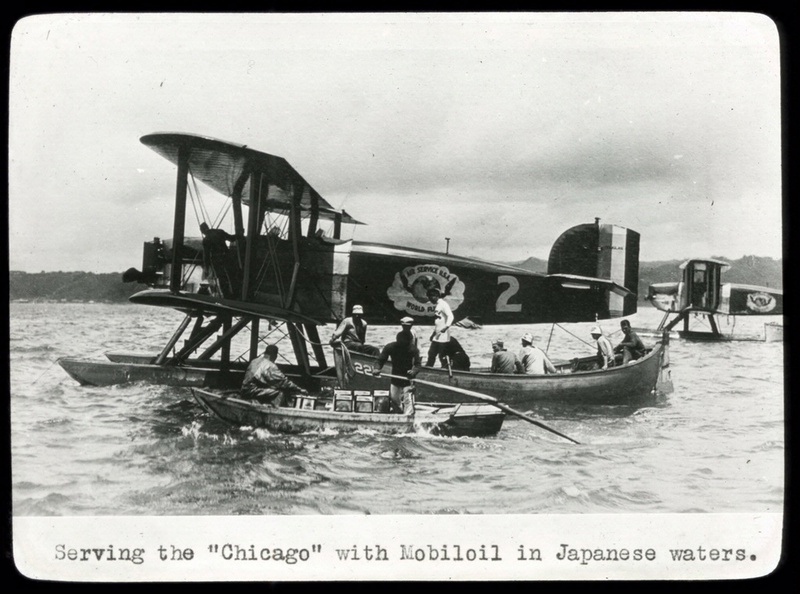 Delivering fuel and oil after a water landing was often a laborious process. A single World Cruiser carried 644 gallons of fuel, which provided a range of 2,200 miles. Delivering fuel and oil after a water landing was often a laborious process. National Air and Space Museum (NASM A-11037-D), Smithsonian Institution.